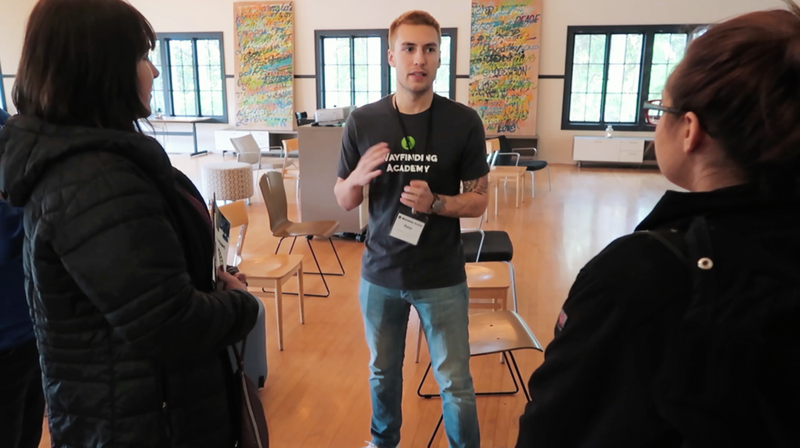 Earlier this month we opened up our doors to potential students and new community members for an opportunity to get to know us and our space a bit better. We captured that Open House event in the recap video above that we think you'll enjoy watching. Here's cohort 2 student Peter given a tour of the building! As a new college we're constantly changing, and that goes for our building as well. We've been making this space our own since we first moved in - transforming rooms into places of learning and community gathering spaces. But this past week we've been taking that transformation to the next level as we make some significant adjustments to the largest room in the building, the Navigation Hall. Want to see the full reveal? Join us at our second annual Live Your Dreams party on Saturday, December 2nd! We'll be celebrating not just our dreams, but yours as well. Learn more and pick up your tickets here. And for our friends not currently in the Portland area, mark your calendars for the weekend of July 20th-22nd - that's when we'll be celebrating the graduation of our first cohort of students with another epic party!